Entrance charges for Different Activities in Munnar. How will be the Climate during this period of Time ? Monsoon in Munnar : Munnar becomes the perfect Kerala bride when monsoon pours over her and it blesses the visitors with a tantalizing setting and feel. Like the entire state of Kerala, the monsoon falls over Munnar from June till the month of September. How to Reach Munnar ? Being one of the most important tourist locations in South India, Munnar is well-connected by road from every major city of Kerala, Tamil Nadu and Karnataka. Well networked national and state highways connect Munnar from all parts of South India. These roads ensure that Munnar is a place easily reachable even by the weekend travelers as far as from Bangalore and Chennai. Many find ‘how to reach Munnar’ as a very troubling one, but if planned effectively, with the help of several transport options, Munnar can be easily reached without any hustle bustle. Most of the important tourist destinations in Kerala are well-connected to Munnar. Bangalore to Munnar no Volvo bus services available. Karnataka Government’s KSRTC runs a Rajahamsa service from Bangalore to Munnar. It starts at 8:30 PM from Shanti Nagar Bus Stand and reaches Munnar by 10 AM. Kerala Government’s road transport (also called KSRTC) runs a super deluxe service from Bangalore to Munnar via Mysore that starts at 4 PM from Bangalore Reaches Munnar By 7.30Am. Here Comes Munnar Holidays Our team comes recommended by Trip Advisor, so you know you’re in safe hands and will definitely enjoy your experience with us. Standard packages can be viewed on our website. However, in case you have any comments or suggestions, or you want to customize your plan, you can write to us [email protected] and we will get back to you as soon as possible.If you have a hotels booked already, If you are a person who does not want to waste time waiting for buses, the best option is to hire a taxicab that can take you to your Munnar. This will help you save a lot of time travelling and also cover several tourist attractions on the way, such as spice plantations, distant mountain ranges and green valleys along with several beautiful waterfalls in Munnar like Cheeyapara and Valara waterfalls while you travel to Munnar from Kochi, Kovalam or Alleppey. As one of the most experienced Munnar tour operators, we, Munnar Holidays have a fleet of our own that can respond quite efficiently to all your transportation requirements. With years of experience in helping travelers searching for the best Munnar tour packages from across the globe, we provide affordable, reliable and top-notch services. We are also the most economical taxi services you can find as we have a deluge of taxis coming from Airport and Railways Stations after client drops. On Wednesdays all the shops in Munnar are closed. On Mondays all the Tea Factories & Museums are closed. Lockhart, Thalayar and Mattupetty tea factories can be visited by travelers. Munnar Package can be customized – Pick up & Drop can be Provided from Below Locations,Transportation will be by Private Taxi Etios, Desire ,Innova,Tempo Traveller,Bus or Coach as per the package or Group Size. 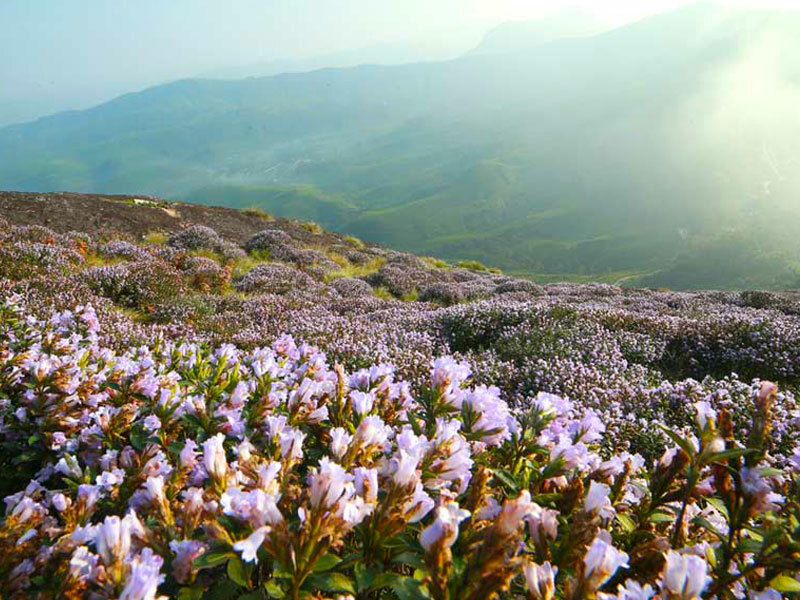 We provide 2 nights-5 days package which includes witnessing the Neelakurinji carpet the green mountains and painting the surrounding in its blue colour. Along with this rare spectacle, you can also explore the other wonders of nature such as the Flower Garden, Echo Point, Eravikulam National Park and the Mattupetty Dam. We understand the importance of food and accommodation and the impact it has on a holiday. Therefore, we ensure you delicious and authentic meals along with clean, safe and spacious stays so that you have a holiday to remember and cherish.We provide you with these top-notch facilities for a reasonable price of INR 900 onwards and it doesn’t get better than this! Finding the best hotels and resorts in Munnar is one of the most difficult tasks to carry out for any traveler wanting to get the best Hotel deals in Munnar. As there are is a deluge of resorts and hotels in Munnar, find the best one is harder than thought. However, we have come up with a list that includes some of the best hotels in Munnar that can provide you with exceptional accommodation options. The Tall Trees Resorts: An excellent nature resort spanning on the land of about 66 acres, this resort is one of the best resorts in Munnar. Located in Pothamedu, this is also the best location for couples for honeymoon. KTDC Tea County: Owned by the government, KTDC Hotel in Munnar is a premium hotel located near Munnar town. Parakatt Nature Resorts: Located in Pallivasal, Parakatt Nature Resorts is one of the top 10 resorts in Munnar and offers a wide range of premium facilities and rooms that match the requirements of both business and leisure travelers to Munnar. 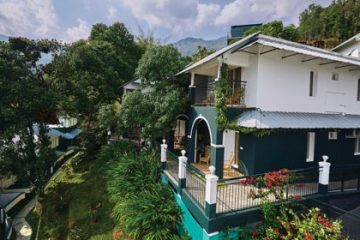 Aranyaka Resorts: Located adjacent to Athukad waterfall, all the rooms of the resort provide exceptional views of the mountain ranges, waterfalls and lush valleys. Nature Zone Tree House: The tree house is located in Lakshmi hills which is a renowned trekking path and provides African Tents and Tree Houses. The property is only accessible by Jeep. The Fog Resorts & Spa: Located in Eatty City, Fog Resorts & Spa is a resort with swimming pool in Munnar. Providing exceptional views of the misty valleys in Munnar, it is a befitting accommodation option for people looking for exceptional Munnar tourism. Kaivalyam Retreat: Located in Pallivasal, it is a holistic health and yoga resort amidst the mountain ranges Munnar. It is also the winner of Traveler’s Choice-2012 award of TripAdvisor. Chandy’s Windy Woods: Located in Meencut, Chandy’s Windy Woods is an outstanding resort offering sumptuous accommodation in Munnar. The Panoramic Getaway: Offering excellent personalized services such as with high-speed Wi-Fi and A/c accommodation, Panoramic Getaway Hotel is one of the best hotels in Munnar and is located in Chitrapuram. 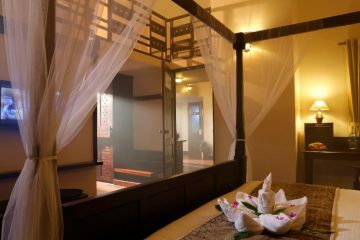 Spice Tree Resorts: Offering Jacuzzi Suite & Pool villa in Chinnakanal, Spice Tree Resorts can make the stay all the more comfortable and excellent with marvelous and airy rooms. Swiss County: It is a boutique property with superb rooms in Chitrapuram. Black Berry Hills Retreat & Spa: Located in Pothamedu, this property boasts of its exceptional views from the rooms. Without any doubt, this is perhaps the best valley view resort in Munnar, along with Jacuzzi and Spa. Blanket Hotels & Spa: It is a new hotel located in Athukad waterfall and offers the view of the waterfalls and teagardens aplenty, from the room. Hotel Silver Tips: Exceptionally suitable for meeting and conference, the hotel is located just about a kilometer away from the Munnar town. Indian movie star Shahrukh Khan stayed in this hotel during the shoot of his film ‘Chennai Express’. 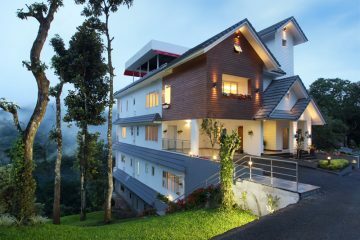 Hotel Fragrant Nature: Being one of the 5 Star Hotel in Munnar, Hotel Fragrant Nature offers exceptional views of the green clad mountain ranges of Munnar and is located in Pothamedu. Ambady Estate: It is a boutique property that offers colonial cottages in Munnar. Windermere Estate: It is a plantation resort located in Pothamedu and is preferred mostly by foreign travelers. Club Mahindra: Located in Chinnakanal Tea Estate, caressed by the views of the lake and adjacent tea gardens, Club Mahindra is undoubtedly one of the best 5 Star Resorts in Munnar. Munnar Tea Country Resorts: Being the first all-villa premium family resort in Munnar is one of the best resorts in Munnar, without any doubt.